It is hard to imagine our lives without electricity, and the true� fact is that we cannot live without it. As we look at a new year beginning, global energy conferences taking place and manufacturers looking to technologies or innovation that will move away from fossil fuel consumption, many sources of alternative energy have been either developed or proposed. Due to the many and varied problems associated with continuing to use fossil fuel at the rate that the planet needs it, we are in a no-choice position of having to look for viable alternative renewable energy sources. Here are a few that we might see come into our daily lives, hopefully sooner rather than later. Natural gas is the cleanest burning of the fossil fuels, and for that reason is the fuel of choice over coal for electricity production as boiler fuel and in gas turbines. Natural gas can be used as a substitute for gasoline or diesel fuel in internal combustion engines, and is so used in a few places. Natural gas is commonly moved by pipeline, and though it can be shipped in tankers this is expensive and does not lend itself economically to large scale transport, whereas oil is shipped economically worldwide. Natural gas is more widely distributed than oil. But estimates are that in total its energy in reserves is equal to or slightly less than that in world oil reserves. 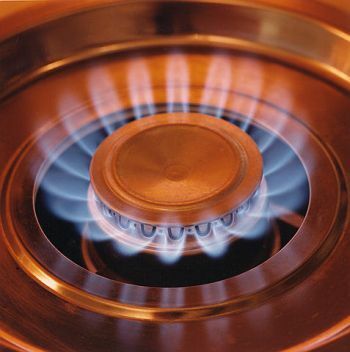 Natural gas is an alternative energy to petroleum, but natural gas is also a finite fossil fuel. The power of moving water, or hydropower, is a clean and efficient means of generating electricity. Water falling through dams powers water turbines that are hooked up with electric generators. The energy is then distributed across vast electrical networks. Canada, the United States, and Brazil lead the world in hydroelectricity production. 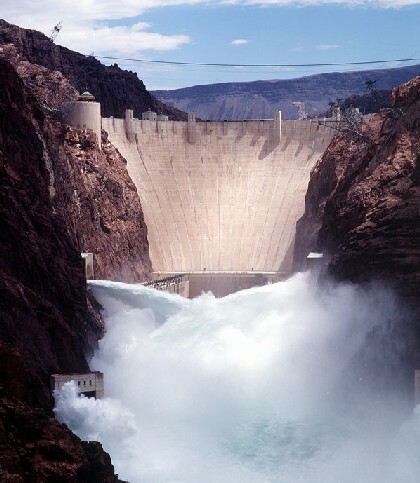 The building of dams has an environmental impact, however, that must be weighed against any benefits to energy provision. The flooding of land above the dams and disrupting the normal flow of water below them affects the natural ecosystem of the river and its surroundings, which is highly unacceptable for many, especially when considering all the collateral impact outside of the ecosystem itself. This may in fact cause more damage or change to the planet in the long term than the actual fossil fuel consumption. The rise and fall of ocean tides contain enormous amounts of energy that can be captured to produce electricity. In order for tidal power to be effective, however, the difference in height between low and high tides needs to be at least 20 feet (6 meters), and there are only a few places in the world where this occurs. A tidal station works like a hydropower dam, with its turbines spinning as the tide flows through them in the mouths of bays or estuaries (an arm of the sea at the lower end of a river), generating electricity. By the end of the twentieth century, tidal power plants were in operation in France, Russia, Canada, and China. Ocean thermal energy uses the temperature change between the warmer surface waters and the colder depths to produce electrical power. 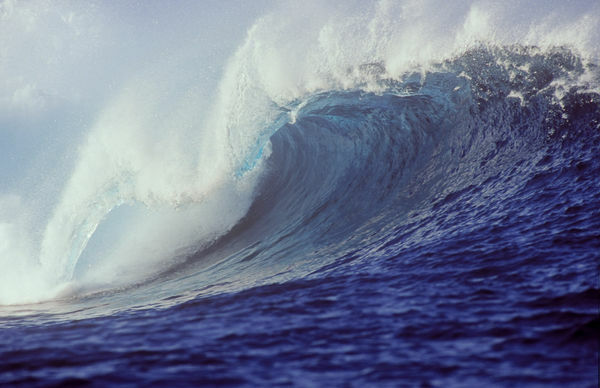 In the US, resident Obama�s energy policy has cut funding for wave energy in favor of solar and wind energy development. 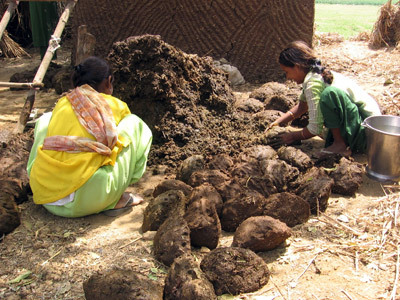 Cow dung can be from any bovine species – including the cow, buffalo, ox and bullock – and is used as manure in many parts of the developing world today, such as in India where it is known as gobar or sheni. The dung is collected and used as bio-gas which is used to generate electricity and heat. The gas is a rich source of methane and is used in rural areas of India to provide a renewable, stable and environment friendly source of electricity. Caked cow dung is also used as a fuel to cook food in many parts of Asia and Africa, since in hot, dry countries, cow dung dries hard like cement and does not remain odors. Maybe this alternative source is more brown than green, but nonetheless is a concept. Cow dung gas is 55-65% methane, 30-35% carbon dioxide, with some hydrogen, nitrogen and other traces. Its heat value is about 600 B.T.U.’s per cubic foot. This compares with natural gas’s 80% methane, which yields a B.T.U. value of about 1,000. Cow dung slurry is composed of 1.8-2.4% nitrogen (N), 1.0-1.2/a phosphorus (P2O5), 0.6-0.8% potassium (K2O) and from 50-75% organic humus. About one cubic foot of gas may be generated from one pound of cow manure at 75 F. This is enough gas to cook a day’s meals for 4-6 people. Nuclear energy is a well known alternative renewable energy source that produces heat through chain reaction. This generated heat is used to heat the water, and it is then vaporized. The vapors turn the blades of turbine to generate electricity. Controlled nuclear fusion, versus fission, is believed by many scientists to be the ultimate solution to the world’s energy problems., since the energy released in fusion reactions is many times greater than that released in fission reactions. To date, however, the technology has not been developed to make use of this source of energy in large part because of cost and perceived risk (Three Mile Island in Pennsylvania in 1979 and at the Chernobyl nuclear power plant in Ukraine in 1986 still make the prospect fearful for people). Solar energy is one of the most promising alternative renewable energy sources for the future. The energy received by the sun is 35,000 times more than that consumed by man. Energy from sun is clean, abundant, locally available and free. Solar energy systems can be either passive or active. In a passive solar heating system, a building captures and stores the Sun’s heat because of the way it is designed, the materials it is made of, or the heat-absorbing structures it possesses. An example of a passive system is a building with large windows that allow sunlight to enter and with thick walls that store heat and release it at night. 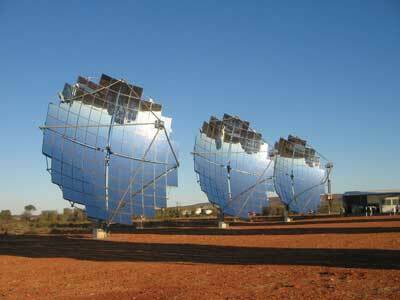 Active solar energy systems use pumps or fans to circulate heat obtained by solar collectors. To use solar energy effectively, the initial capital cost will be high, but if quality components with minimal maintenance are installed, there can be innumerable benefits. Wind power is one of the earliest forms of energy used by humankind. Windmills were used on farms in the early part of the twentieth century to pump water and generate electricity. Wind provides energy by the virtue of movement, and it can be and excellent alternative renewable energy source. 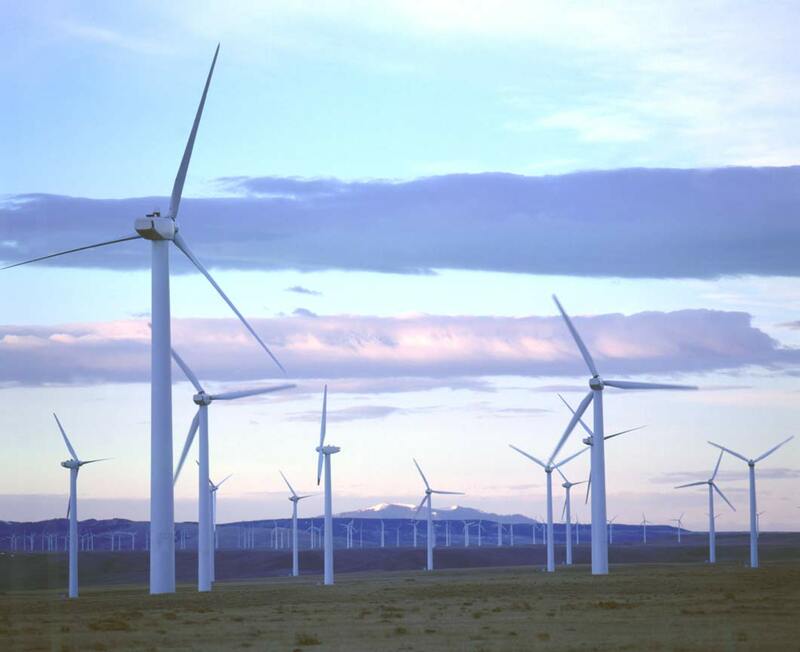 Turbines or windmills convert the wind�s kinetic energy into mechanical energy, and it can be used for tasks such as grinding grains, pumping water and milling lumber. Look of wind turbines and windmill is not appealing, and companies are looking for various alternatives. 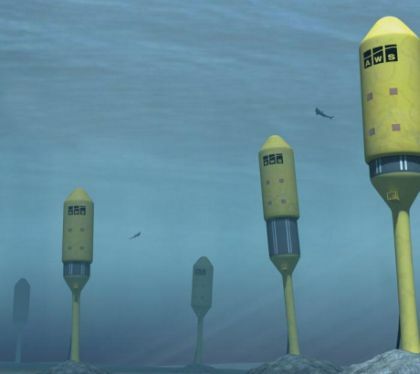 One company has come up with the idea of putting the wind turbines underwater. Geothermal energy is the natural heat generated in the interior of Earth and released from volcanoes and hot springs or from geysers that shoot out heated water and steam. 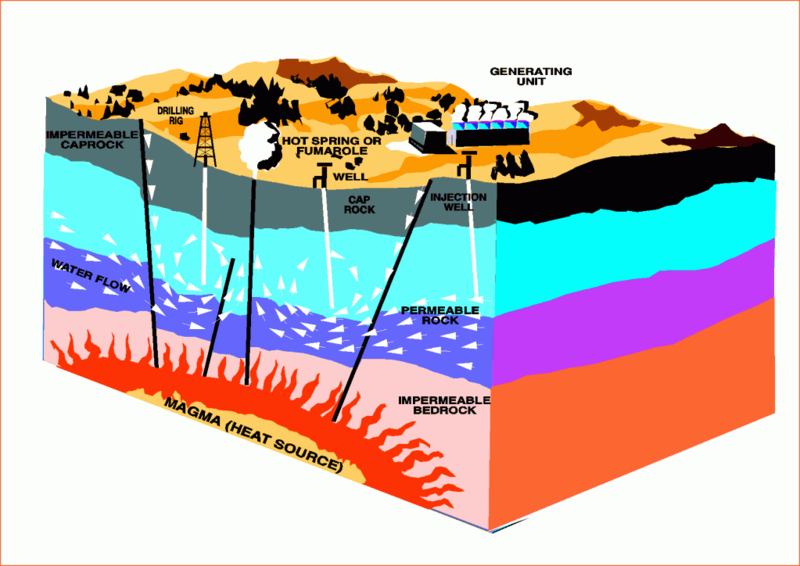 Reservoirs of hot water and steam under Earth’s surface can be accessed by drilling through the rock layer. The naturally heated water can be used to heat buildings, while the steam can be used to generate electricity. Steam can also be produced by pumping cold water into rock that is heated by geothermal energy; such steam is then used to produce electric power.Geothermal energy is an important alternative energy source in areas of geothermal activity, including parts of the United States, Iceland, and Italy. The Geysers in California is the largest steam field in the world and has been used to produce electricity since 1960. Unlike solar energy and wind power, however, the use of geothermal energy has an environmental impact. Chemicals in the steam contribute to air pollution, and water mixed with the steam contains dissolved salts that can corrode pipes and harm aquatic ecosystems, so this alternative may require further investigation and specialization in its uses. More details on how this works can be found here. Hydrogen gas is a potential source of fuel for automobiles, as well as a potential source of energy for heating buildings and generating electricity. 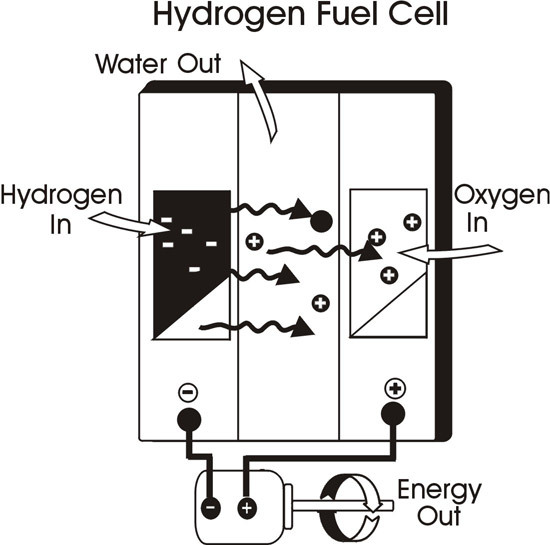 Although hydrogen is not readily available, it can be produced by separating water into hydrogen and oxygen in a process called electrolysis. A disadvantage of using hydrogen gas as fuel is that it is highly flammable. 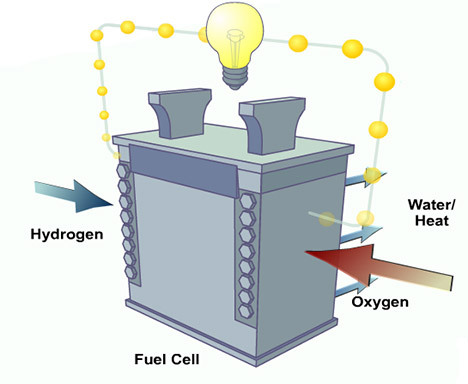 Fuel cells are devices that produce electric power from the interaction of hydrogen and oxygen gases. They are used to provide electricity in spacecraft and are a potential alternative energy source for heating buildings and powering automobiles. Certain biomass (the sum total of living and dead plants, animals, and microorganisms in an area) can be used as fuel to produce heat energy. Biofuel – known commonly as bio-diesel – is made from the methane released from natural vegetable seeds and grains, such as can be made from renewable oilseed crops such as soybeans, rapeseed, cottonseed and mustard seed. In fact, thought it seems like “all the rage” and the “idea of the day”, the use of vegetable oils in diesel engines is nearly as old as the diesel engine itself. The inventor of the diesel engine, Rudolf Diesel, reportedly used peanut oil as a fuel for demonstration purposes in 1900. Biodiesel runs in any conventional unmodified diesel engine. Pure biodiesel increases engine�s life, since it does not leave any deposits. The use of biodiesel can extend the life of diesel engines because it is more lubricating than petroleum diesel fuel while fuel consumption, ignition, power output and engine torque are unaffected. An excellent resource can be found here for detailed information. Biomass – the biomass contained in garbage can be burned to produce heat energy or can be allowed to decay and produce methane (natural gas). In western Europe, over 200 power plants burn rubbish to produce electricity. Methane can be converted to the liquid fuel methanol, and ethanol can be produced from fermentable crops such as sugar cane and sorghum. Adequate air pollution controls are necessary when biomass is burned to limit the release of carbon dioxide into the atmosphere. Just wondering about some sentencesyou put into this article. Lately, I�ve read some interesting books about it. very well it is precisely what I call a quality blog post by a fantastic web site. are unable to wait for following that one. Natural gas and nuclear power: Not renewable. Open a book next time you spew bs and waste 5 minutes of my time. I am the sort of guy who passions to taste revolutionary things. Presently I’m building my personal pv panels. I’m doing it all by myself without the aid of my staff. I am using the net as the only path to acheive this. I encountered a truly brilliant website which explains how to contruct pv panels and wind generators. The internet site explains all the steps required to solar panel construction. I am not really sure about how precise the information given there is. If some people over here who have experience with these things can have a look and give your feedback in the thread it will be grand and I’d highly value it, cause I truly love [url=http://solar-panel-construction.com]solar panel construction[/url]. I am the sort of hombre who passions to seek unused things. Currently I am constructing my personal pv panels. I’m making it all by myself without the help of my men. I am using the net as the only path to acheive this. 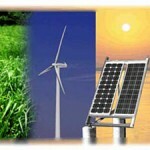 I ran across a very brilliant site which explains how to make pv panels and wind generators. The web site explains all the steps involved in solar panel construction. I’m not sure bout how accurate the information given there iz. If some experts over here who have xp with these works can have a peak and give your feedback in the site it would be great and I would really treasure it, cause I really like [url=http://solar-panel-construction.com]solar panel construction[/url]. 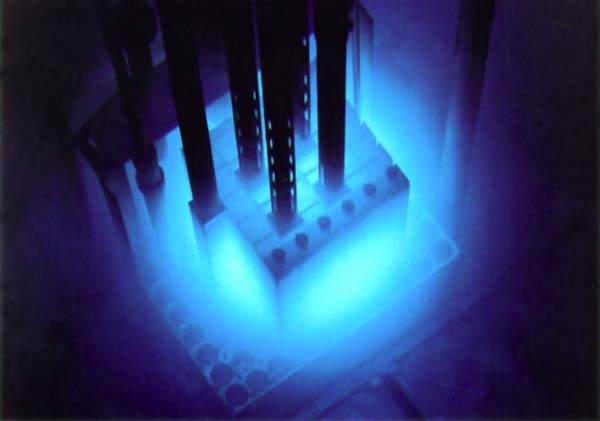 Aneutronic fusion is the cleanest and safest nuclear energy source, low neutron hazards.